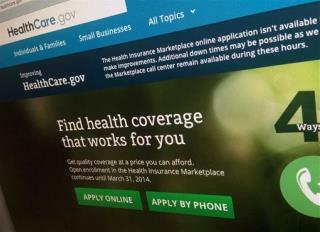 (Newser) – Months after its botched rollout, the ObamaCare website is still missing a way to fix enrollment errors, government data obtained by the Washington Post reveals. Tens of thousands of people affected by the errors have had to fill in a seven-page appeal form and send it to a federal contractor's office in Kentucky, where they are scanned and sent to languish in a computer system because the system that would let workers deal with appeals has yet to be built, insiders say. At least 22,000 people, many of whom were charged too much for insurance, have been affected. ..."and it will only cost about as much as your monthly cable bill." MY cable bill is WAY THE HELL TOO HIGH. Obama, why don't you do something about that ripoff, BEFORE you try to rip me off a second time. AASS HOOLLE.